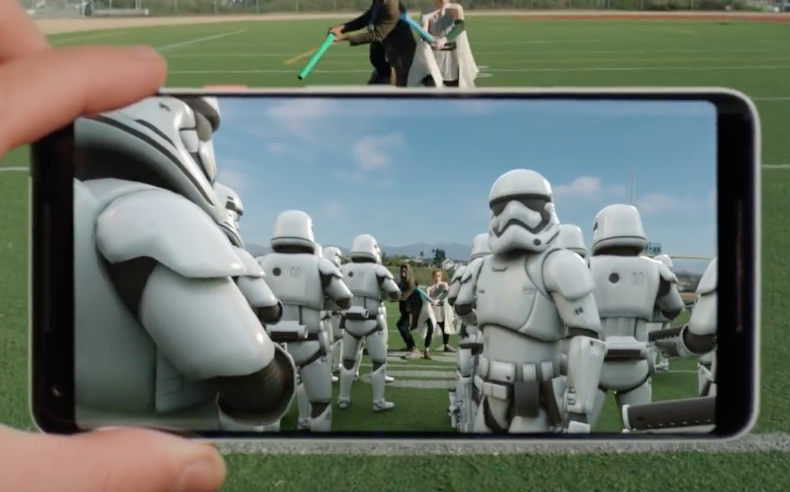 Pixel 2 and Pixel 2 XL owners already have a glimpse of several augmented reality features in the Google Camera app. Google is all set to deliver that experience to both Android and iOS platforms. However, the integration will be browser-based and not via the camera app. To help bring this to as many devices as possible, Google has been exploring how to make a web browser that is AR capable, so almost anyone with a modern smartphone could access this new feature. Let’s take a look at how AR content could work across the web, from today’s standard mobile and desktop browsers to future AR-enabled browsing environments and devices. Article is a 3D model viewer that works for all browsers. On a desktop, users can check out a 3D model by dragging to rotate, or scrolling to zoom. On mobile the experience is similar: users touch and drag to rotate the model or drag with two fingers to zoom in. With augmented reality, the model can be blended with the real world, so one can surf the web, find a model, place it in a room to see just how large it is, and physically walk around it. When Article is loaded on an AR-capable browser, an AR button appears at the bottom right. Tapping on it activates the camera, and renders a reticle on the ground in front of the user. When the user taps the screen, a model sprouts from the reticle, fixed to the ground and rendered at its physical size. The user can walk around the object to get a sense of its scale and size. To reposition the model, users can tap-and-drag, or drag with two fingers to rotate it. Subtle features such as shadows and lighting help the model blend in with its surroundings seamlessly. The potential for AR in the future is vast (and not just limited to Pokemon GO). For example, AR can significantly enhance a person’s shopping experience by rendering a real-time model of the product, allowing one to correctly judge its dimensions before finalizing the purchase. The project is still in its nascent stages, but we can expect a complete list of compatible devices and browsers sometime in the near future.